Make the most of the recent rains with the installation of a rainwater tank. 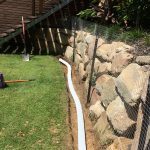 You can supply the tank or we can arrange delivery and installation of any tank type including, squat, slimline, round, poly, concrete and in the ground. The size most commonly installed in our post-build household is 5,000lt for use in the garden and for connection to toilets and laundry as a means of saving money on mains water consumption. 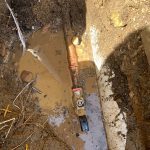 Our connection service includes installation of either crusher dust or concrete slab to ensure your tank is level. 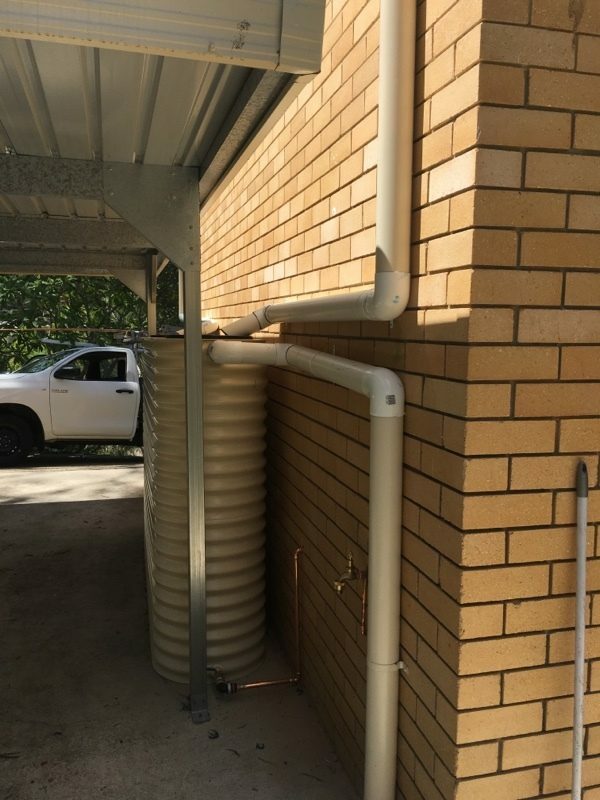 The connection of your rainwater collection system of downpipes, gutter spreaders, rainheads and inlet/outlet on the tank is part of our service. 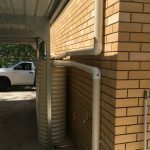 We also supply and install rainwater pump with cover, external powerpoint and rainwater tap to make easy use of your collected rainwater. 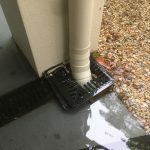 A rain to mains pump system will automatically use tank water where there is sufficient level, otherwise, the pump will switch to mains, meaning you just need to keep the gutters, rainhead and inlet sieve clear of debris to ensure a maximum rainwater collection. Thank you to Mark and his team from The Gap Plumbing Service for the great work done to renovate our bathroom. Everything ran very smoothly during the job and Mark and his team went above and beyond to ensure the bathroom was completed exactly as we envisioned. A fantastic result, we’re so happy with our new bathroom!